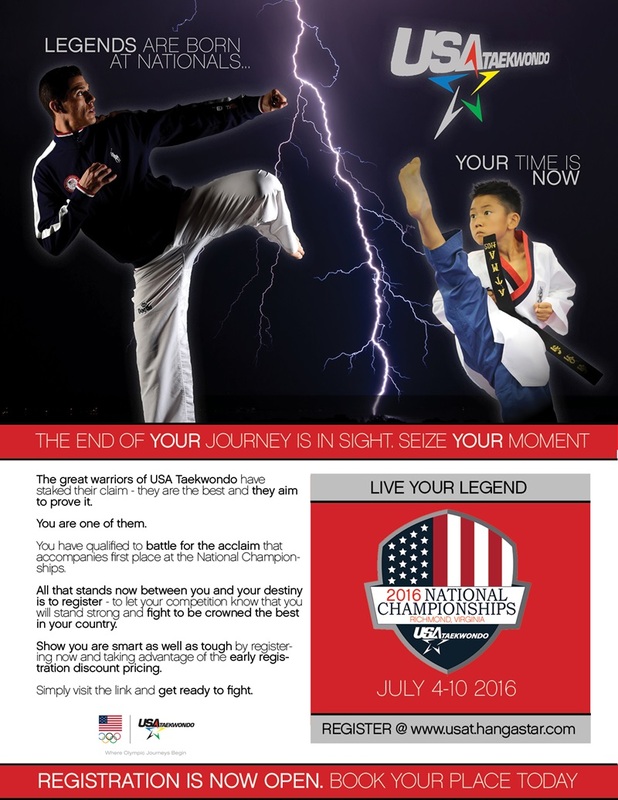 2016 USA Taekwondo National Championships - Richmont Virginia Registration NOW OPEN. Your place in history awaits. Register now and take advantage of discount pricing!